December 14th. Our four beautiful Billie’s Butterfly blankets are now with the wonderful staff at the children’s hospice in London. It was such a privilege to be able to deliver them this morning. Thank you so much to everyone who helped in anyway. 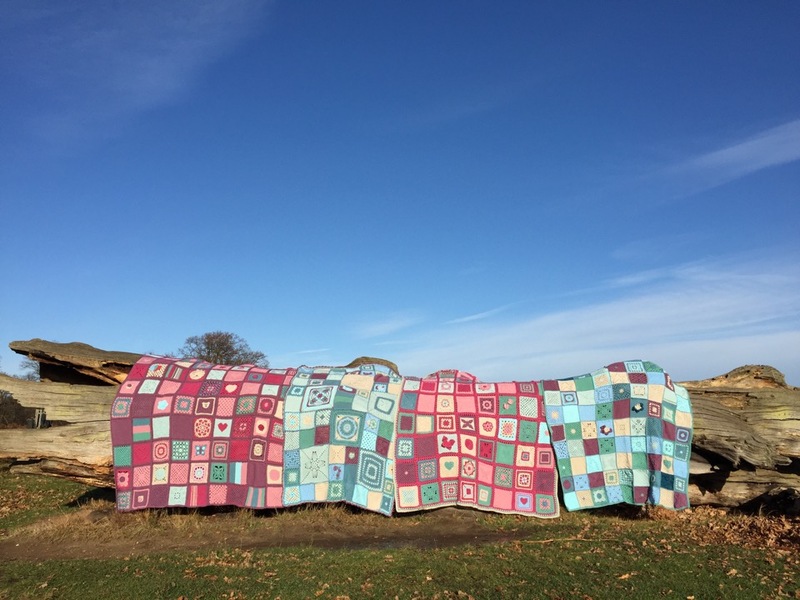 The blankets truly have love and compassion in every stitch and are ready in place now for their post bereavement room, together we will be helping families in the bleakest darkest times feel loved and looked after. Really thank you doesn’t come close. This is a very special project to help support bereaved families at a London children’s hospice. We have been approached by lovely MrsDV who works here asking if we can make special blankets for the bed in their Butterfly Suite (post bereavement room) so these will be used to to dress the bed with. We are so glad she did. At an intensely bleak and dark time there is still something very positive and personal that together we can do for the child and their family. Our blankets are always handmade with love and compassion and so are perfect. We can help care for the whole family at this time by covering the child in bed so they look comfortable and cosy whilst sending love and a hug to their bereaved parents. Loved and looked after. The hospice would like to have these blankets in hand for time to come so that they can be ready. If you’d like to donate funds to help us achieve this, please message us, or if you need resources to take part then do let us know. We don’t want anyone unable to take part due to cost. We will be using Stylecraft Special DK as blankets will need to be very practical, six inch squares made using 4mm hook or needles. Knit or crochet equally welcome. Duck egg, grape, sage, storm, parchment, pale rose, raspberry, cloud blue, sherbert. NB – Just these please, no blocking of squares and please knot off sturdily when changing colours or finishing, leave a good end and use a needle to sew in the peskies. Last posting please to be Saturday 14th October. Chernobyl Project 2017, the blankets! For the Early Birds…. Chernobyl 2018!